Neurocientist John C. Lilly was a pioneer in the field of electronic brain stimulation. He was the first person to map pain and pleasure pathways in the brain; founded an entire branch of science exploring interspecies communication between humans, dolphins, and whales; invented the world's first sensory deprivation changer; and conducted extensive personal experimentation with mind-altering drugs like LSD and ketamine. 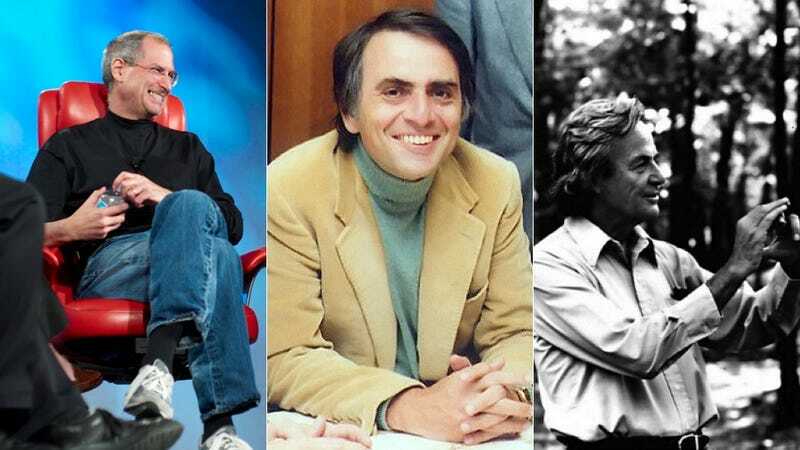 Preeminent astrophysicist and cosmologist Carl Sagan not only smoked marijuana regularly, he was also a strong advocate for its use in enhancing intellectual pursuits — though not as publicly as others on this list. Having said that, Sagandid contribute an essay to the 1971 book titled Marijuana Reconsidered that spoke to the virtues of marijuana use. The piece was penned under the assumed name "Mr. X." The identity of its true author was only revealed after Sagan's death. All images, unless otherwise indicated, via Wikimedia Commons. This io9 flashback originally appeared on January 16th, 2012.